HABIT: Early to midsummer flowers on coarse-textured vertical stems. CULTURE: Plant in well-prepared healthy beds. Grows best in morning sun and afternoon shade. PROBLEMS: Rust, aphids. I wouldn’t plant in large numbers. 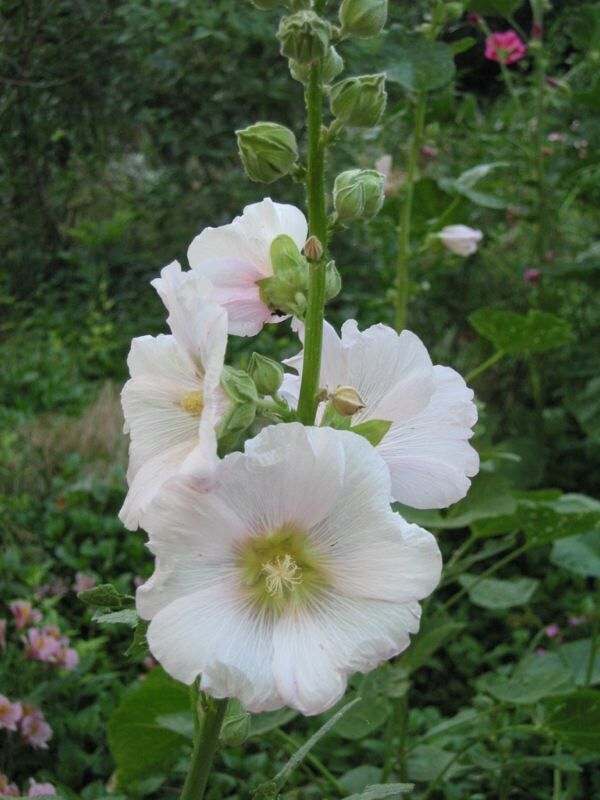 Hollyhocks like to establish roots first, and then produce the stalks of flowers you love so much. 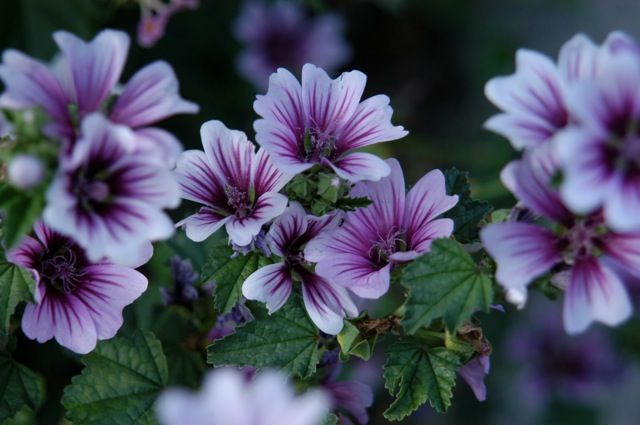 They can be planted in the fall to give them a chance to establish a root system during the winter months. 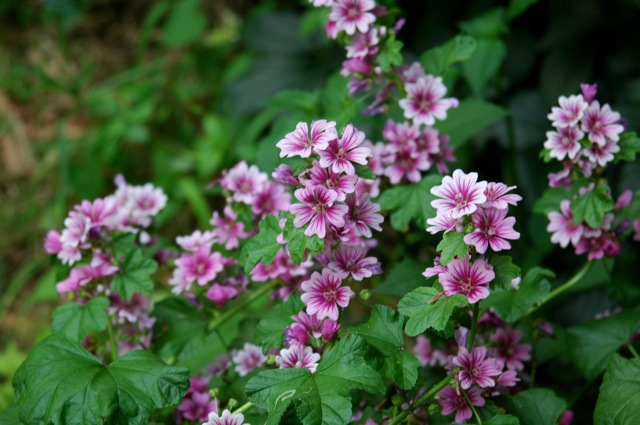 When spring arrives, your fall planted plants will burst into growth and flower that summer. Most people plant them in the fall, but it is not a must. It is important to keep the small plants watered regularly to keep the roots healthy through the winter cold. Some gardeners plant hollyhocks in the spring because then you see them can move them into their permanent positions before they get too large. Spring planted plants will not bloom much or may not bloom that year, but they have the entire season to grow root systems and foliage and will do well the next season. The number of flower stalks increased and the flowers will be very large. Starting hollyhocks on a heat mat is not advised. Seed shouldn’t be rushed; they will come up when they are ready. Seed should be covered with ¼” of fine organic potting soil or garden soil. Keep the soil moist and do not let your seeds dry out once planted. French hollyhocks have been the easiest to grow for me. Plant the seeds about 6 to 8 weeks before the last frost. Hollyhocks usually don't bloom until their second year. By starting them early they may bloom the first year.